If there is one thing i love about my job, it is being able to bring you new and exciting launches. 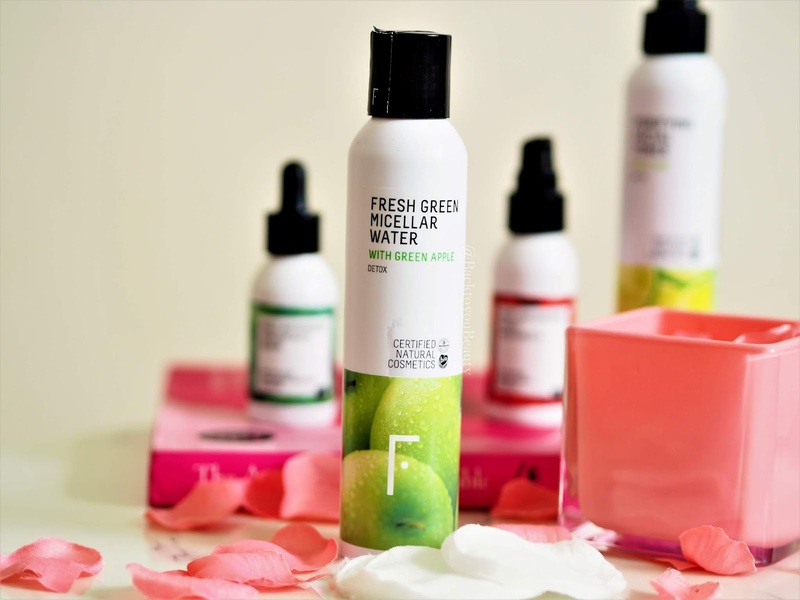 Freshly Cosmetics is certainly new, having launched in the UK last month, and very exciting. A natural, 100% Organic, Cruelty free, Vegan, 100% Toxic Free brand that also uses completely sustainable, recyclable packaging – who wouldn’t want that? Freshly Cosmetics understand that toxins damage our skin, and with our skin being our largest organ, it is super important that we take care of it. 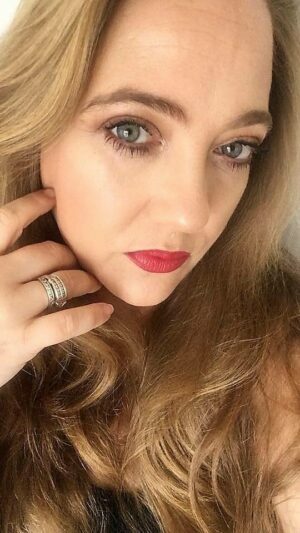 Stress and environmental aggressors along with a poor diet and ill health can really take its toll on our skin and we can loose our youthful glow and vitality. 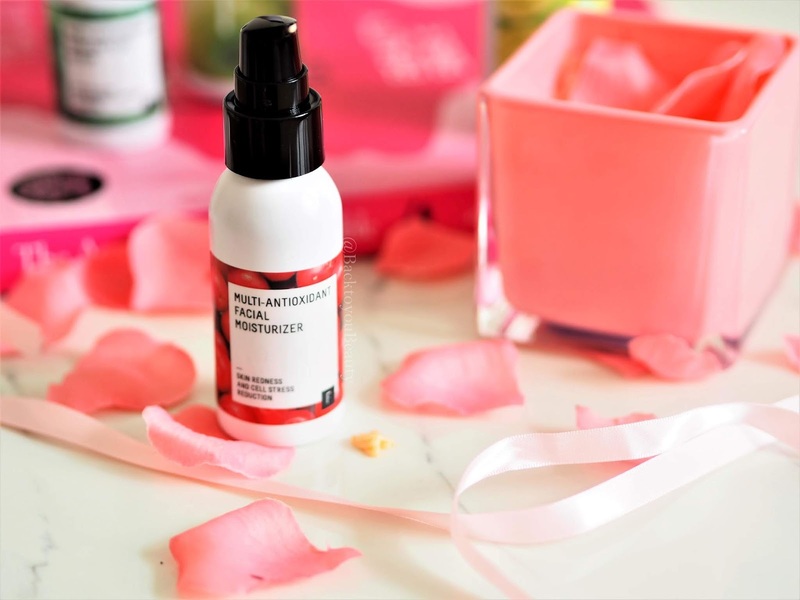 The team at Freshly spoke to their friends, family and obviously cosmetics professionals to find out exactly what they felt their skin was missing and in need of. 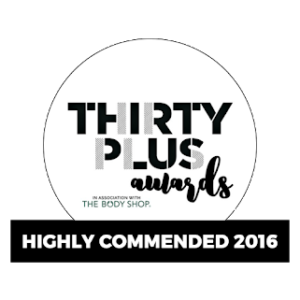 Using super high quality ingredients and with all products working on a detox basis, this brand is all about offering that fresh look, clear, healthy skin and dealing with any issues that our skin may go through. I was fortunate enough to have been sent the Antiox Facial Plan. This is a 4-step Green skincare routine consisting of Clean, Purify, Antiox and Moisturise, which improves all cellular processes to achieve healthier looking skin. If you love the naturally uplifting scent of super fresh, and i do mean, super fresh, zesty fruits, then you will adore this collection. 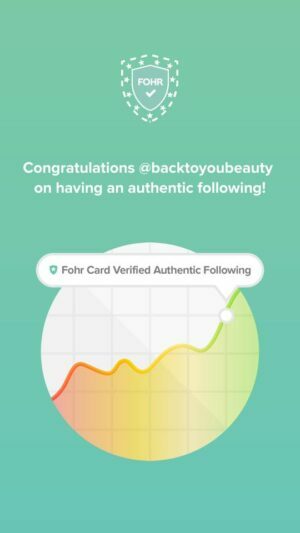 Read on to find out how i got on and how you can also bag yourself a Antiox Facial Plan Collection. I cannot tell you enough how absolutely incredibly fabulous this micellar water smells. This is truly the scent of deliciously juicy, ripe green, Granny Smith apples being sliced on a summer day. The scent is the most fresh, mouth-watering, happy scent i think i have ever smelt. Do not let the scent put you off, it is super natural and super gentle on the skin whilst being incredibly effective at the same time. It quickly and efficiently removes make up, sunscreen and dirt, without stripping the skin, whilst leaving feeling incredibly fresh and clean. Aloe Vera and Green Apple organic water act like a bio-stimulant to regenerate cells and detoxify the skin. It also contains Ginkgo Biloba, Ginger, Cucumber and Agastache Mexicana extracts (an aromatic herbaceous plant). These help to reduce any skin inflammation from blemishes and relieve any skin redness. This micellar is a joy to use, especially first thing in the morning to refresh the skin and remove night creams and due to its ingredients is suitable for all skin types, including sensitive types. Beautiful. Seriously, just pass me some tequila and lets be done! This literally makes me salivate each and every time i use it because it is just gloriously fresh Limes. Nothing makes me happier than the uplifting fragrance of fresh fruit and i think that is why i am so into this range. You really need to smell it to believe how insanely great it is. 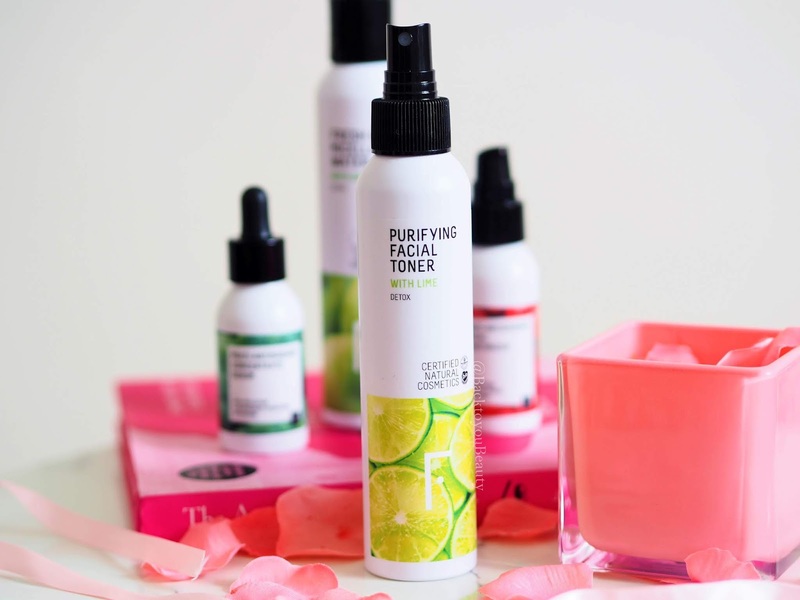 You know how i adore a toner mist and i feature them often on the blog. They are perfect for refreshing, cooling, uplifting and balancing the skin as well as being fab at setting make up. This Purifying Facial toner works wonderfully at refreshing, toning, purifying and balancing the skins PH after cleansing. Also, thanks to the ingredients used, it improves the skins capacity to remove toxins which is wonderful. Horsetail and Chamomile extracts sooth and hydrate the skin whilst also stimulating Collagen and Elastin, Lime and Burdock extracts eliminate impurities that build up on the skin throughout the day and its purifying capabilities regulates sebum making it a wonderful toner to use on more oily skin. 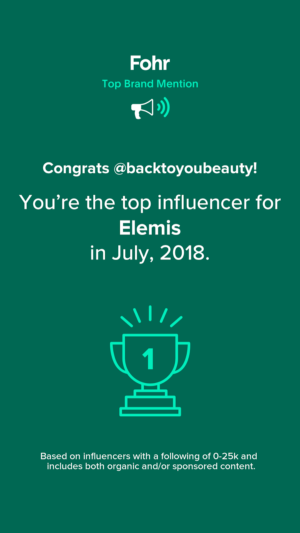 After my first few days use, i did have a minor breakout along my jaw, which was actually quite exciting as i never get breakouts, and it meant something was being shaken up in my skin. Then my skin just looked and felt beautifully smooth and fresh. This wonderfully fresh, rich peach coloured serum is my absolute pick of this collection. Slightly thicker in texture, due to it being a concentrate, and with a more earthy scent than the other products, this is perfect for those signs of ageing. 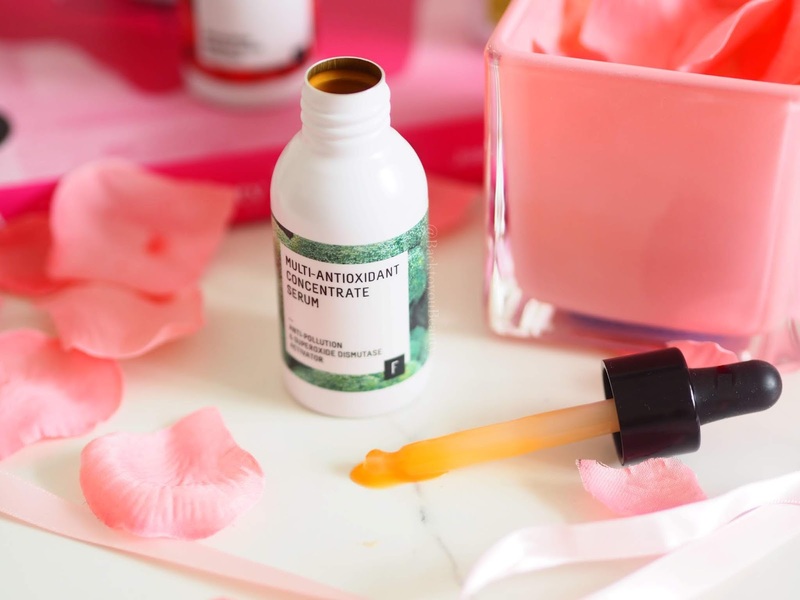 Freshly Cosmetics Say “It contains a high concentration of the best natural antioxidant technology, being 1000 times more powerful than Co-Enzyme Q10 and 65 times more than Vitamin C” that is a claim right there! All i know, is that my skin loves it and feels deeply hydrated after use as well as looking noticeably brighter. Containing Astaxanthin, (a super powerful antioxidant), Lingonberry and Broccoli extract, it repairs cells, blocks out heavy metals and pollution particles and hydrates the skin deeply. Plus it feels absolutely amazing on the skin. This has a beautiful texture when applied to the skin. It feels incredibly silky upon application therefore also making this a great primer. Containing a high concentration of anti-oxidants and latest skincare technology, this moisturiser is great for anyone seeing signs of stress and early ageing within their skin. Full of plant extracts and vegan Hyaluronic acid this face cream improves skins hydration by 115%. What i adore from this products is how super hydrated and almost bouncy my skin felt all day long. My thoughts on this collection – I love brands like this. Completely fresh, organic and natural, with simple packaging, this really is a beautiful, beautiful range. I am so excited to try much more from them including the Pineapple SPF, i mean can you imagine how amazing that is going to smell? Also i think im going to try the kids range for my young son, the coffee range of body products and the grapefruit range of shampoo. To be fair, i think i am going to go for it all because i am absolutely in love with this brand. If you are looking for something different, something that is a joy to use and puts a smile on your face and a spring in your step then run to this range. If you are vegan and want a fuss free, no questions asked brand that you can trust, then run to this brand. 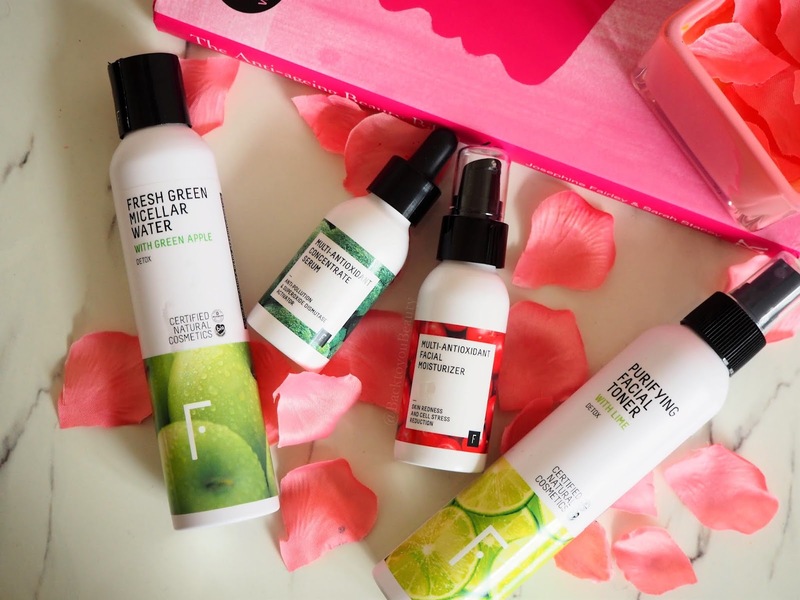 To celebrate their launch in the UK, Freshly Cosmetics are generously giving two of my readers one of the Antiox Facial Plan Collections mentioned above. You can enter the giveaway below via rafflecopter. "The A’kin Big Deal : Organic skincare at an incredible price for one week only!" I bet the micellar water smells heavenly! That all seems wonderfully refreshing! I haven't heard of this brand before, but the serum and moisturiser sound heavenly!